Add a splash of colour and soak up the sun in luxurious comfort with the range of Sun Lounger Cushions from Harbour Housewares. Each cushion has been crafted from a reinforced canvas fabric wrapped around a foam inner. Those reinforcements provide your cushion with a layer of protection against both water and sunlight, meaning it won't rot, degrade or discolour when left exposed to the elements. Twin ties towards the top allow this cushion to be easily secured to a variety of Sun Loungers, offering a level of support and comfort far in excess of your standard plastic lounger alone. Available in a variety of colours, the outer fabric of these cushions can be unzipped and removed for easy cleaning. 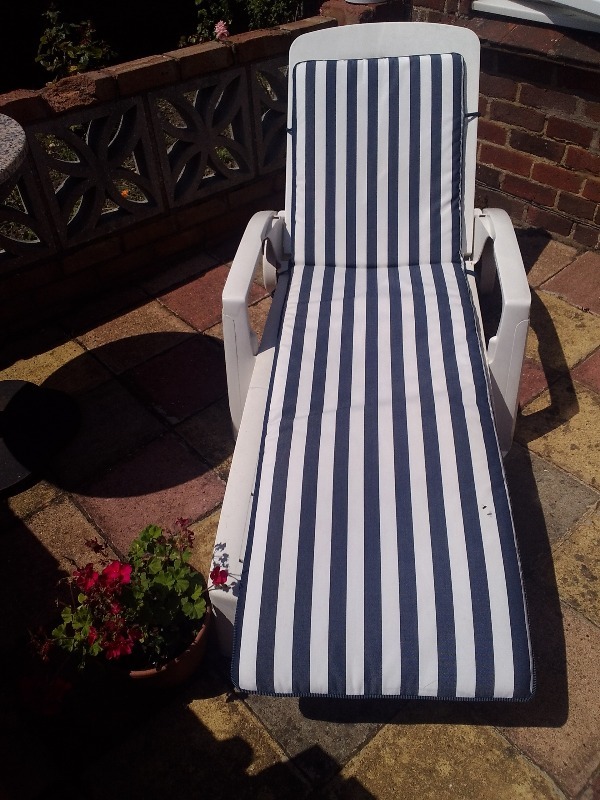 Chair was easily assembled and comfortable with one of your Sunlounger cushions in blue and white. Looks very smart and inviting. Great service. Customer service got straight back to me on a Sunday! Parcel force had messed up the order. Rinkit Sent consignment out again with no fuss. One item was damaged and they replaced it straight away. Very polite and the loungers and cushions are excellent quality! The cushions look good although not quite as blue.Will not be used until next year.